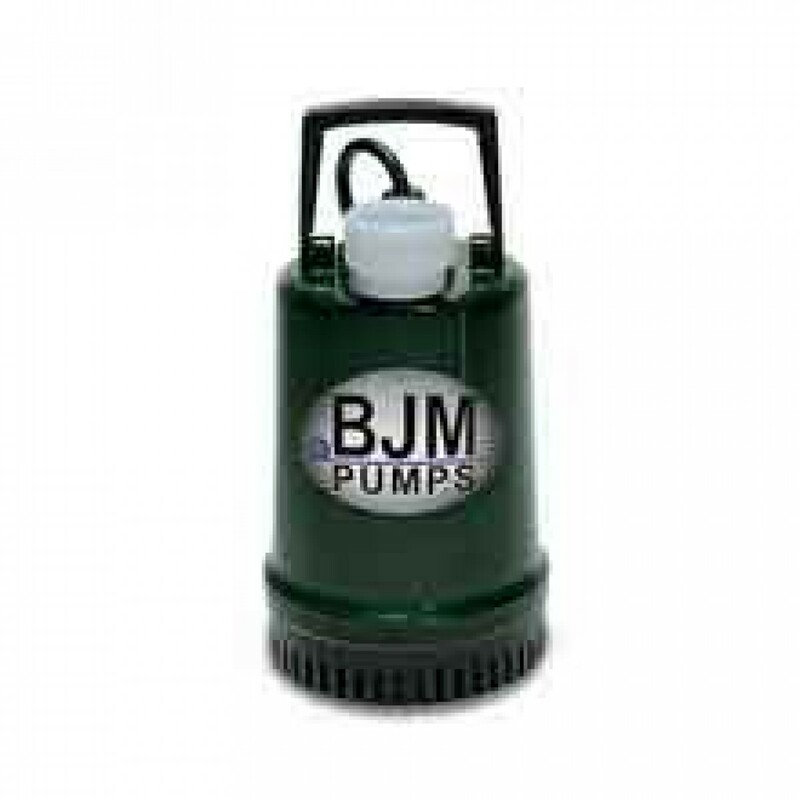 A small electric submersible pump that offers features normally found only on larger costlier pumps. The motor of the BJM Pumps R100 Submersible Water Pump is protected by a heavy-duty, silicon carbide seal and a lip seal of oil resistant Buna. This small electric pump is ideal for light dewatering and sump pump applications, can be used in salt water. Maximum Output Capacity: 21 GPM. Discharge Diameter: 2" (1/8" input openings). Motor Specifications: .15 hp, single-phase, 3450 RPM. Handles solids up to 1/8". Rotor shaft, motor housing and other hardware are made of 304 stainless steel. "Wet" parts are made from reinforced plastic. Class F (NEMA) insulation allows motor to heat up to 230 degrees F.
Thermal breaker shuts motor down upon over-heating.